Despite diligently renewing my subscription to the Royal Horticultural Society each year (thanks Mum and Dad! ), it’s rare that I get to make proper use of my membership. 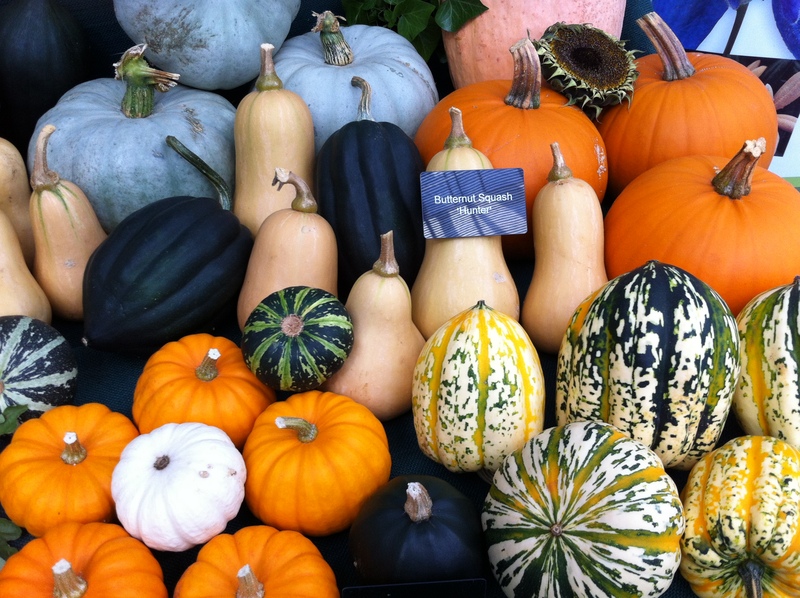 Having managed nothing other than Hampton Court Flower Show so far this year, I made a promise to myself that I’d get to the Autumn Harvest Festival Show in London, come hell or high water. And so, this lunchtime, I found myself wending my way through the quiet Edwardian back-streets of Westminster to the RHS Lindley Hall in Vincent Square. 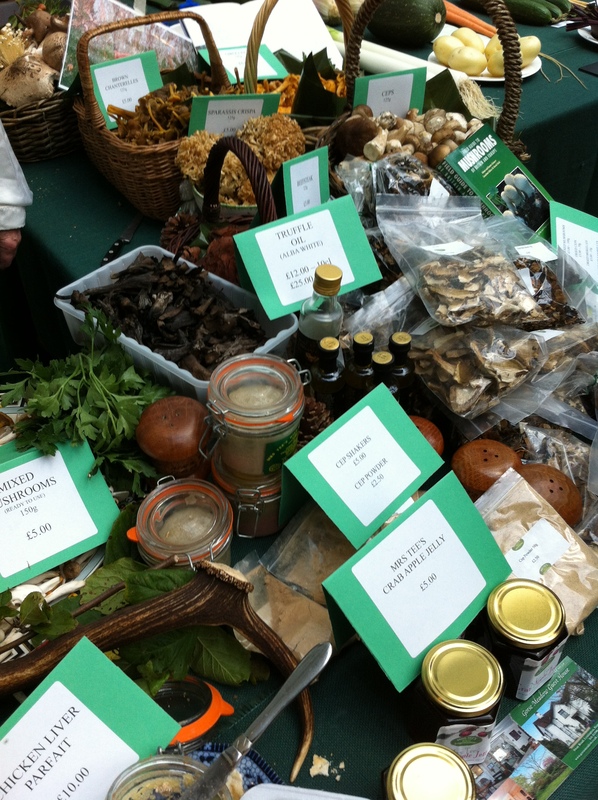 The RHS London shows are little known horticultural treasures, frequented in the main by more mature lovers of flora. This alone makes it worth my while as I routinely come away feeling younger than when I arrived! In some ways these shows are like stepping back in time to the 1920’s. 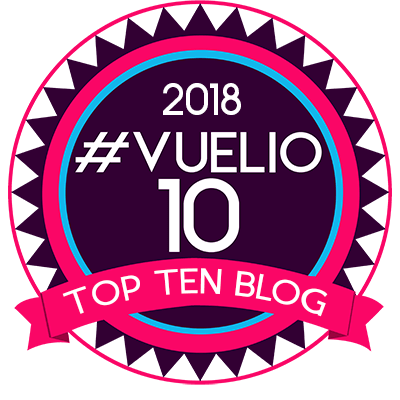 The floral bunting, trestle tables, gigantic pristine vegetables, venerable judges and competition entries from the Dukes of Marlborough and Devonshire are straight from a bygone era. All the more extraordinary to me is that the show still takes place in Europe’s greatest metropolis, about as far from the rural idyll as it’s possible to get. And thank goodness for that, as we city dwellers have gardens too. Incidentally, both Dukes won first prizes, the Duke of Marlborough with some rather splendid red ‘Madresfield Court’ grapes. 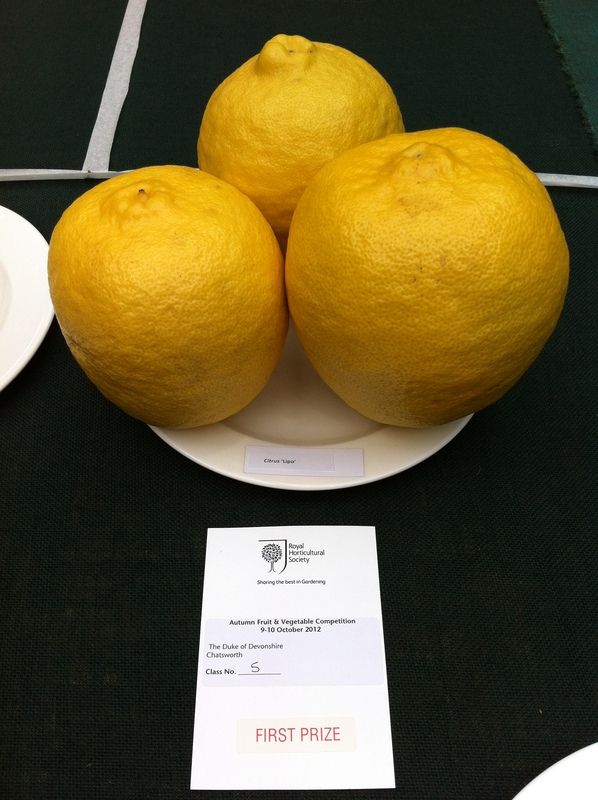 However the punters all seemed far more dazzled by the Duke of Devonshire’s gigantic Citrus ‘Lipo’, which were large and yellow if nothing else. I wonder what they’d have tasted like? 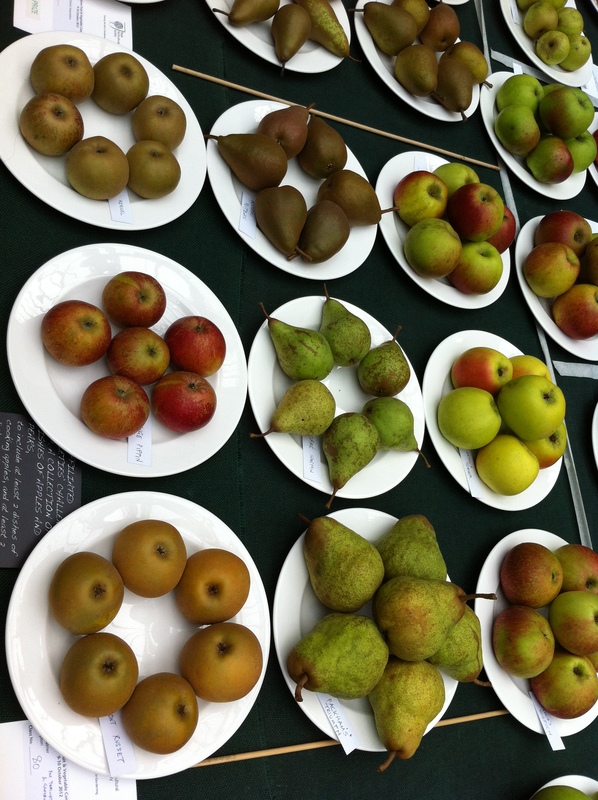 Being autumn the real stars of the show were the apples, pears, root vegetables and savoury fruit. 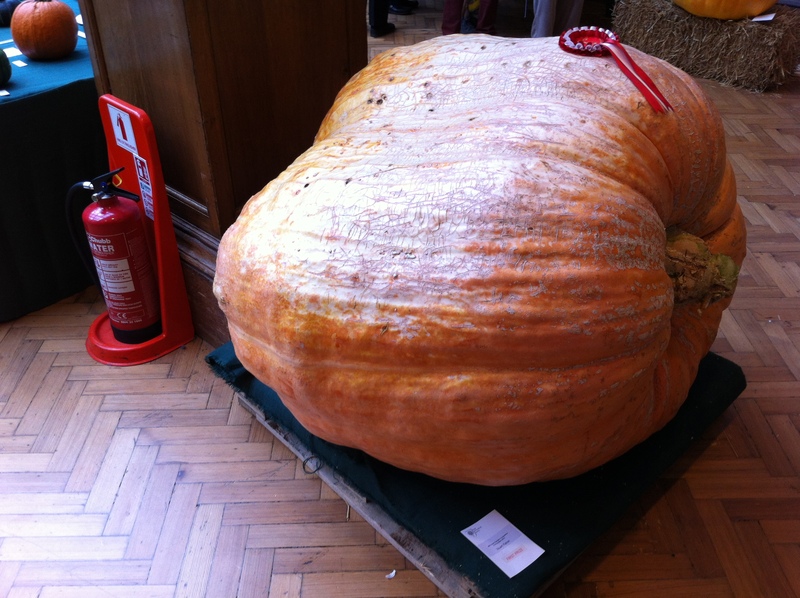 King amongst these are the pumpkins, the largest of which, cultivated by Stuart Paton, was a whopping 1054lbs (478 kilos). Proving that size is not everything, this was possibly one of the ugliest vegetables I have ever seen – with all the looks of one of those bed-bound, overweight people you see in the papers. However the pretty, perky little fruit that came in fourth only managed to weigh in at 192lbs, so I’d say Stuart deserved his first prize. If the pumpkin is king then chillies are the colourful little jewels in his crown. 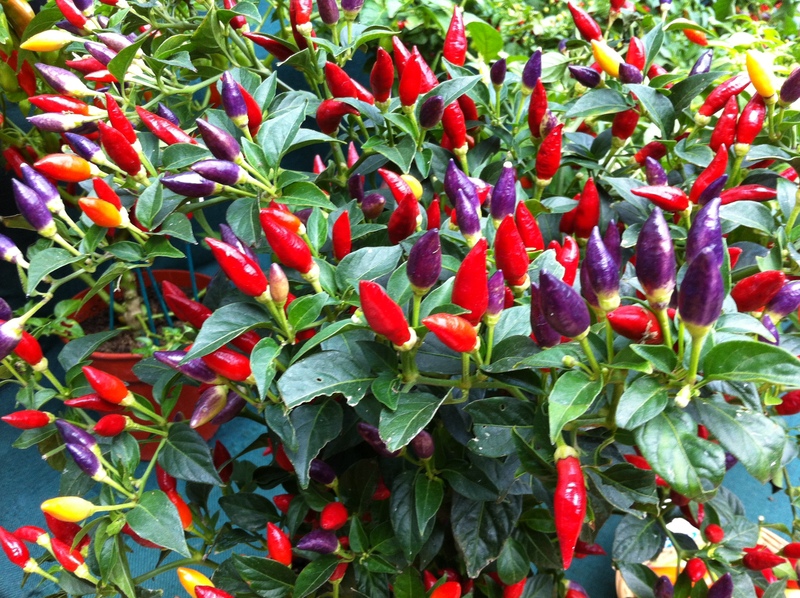 An educational exhibit by Sea Spring Seeds included the kaleidoscopic chilli Capsicum annuum ‘NuMex Twilight’ and a variety with needle sharp fruits called ‘Spike’, proving how varied this fiery spice can be. There were a number of the super hot chillies on display too. Now I love a bit of chilli, but I just can’t see the point in anything that’s going to blow your head off or possibly cause a coronary, so I gave them a wide berth. 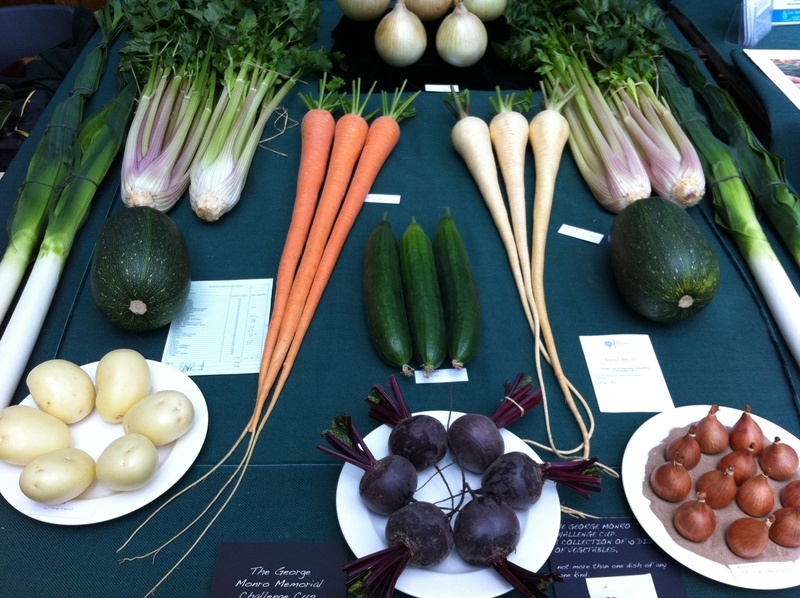 If you are quick there’s still a chance to enjoy the Autumn Harvest Show, which ends tomorrow. 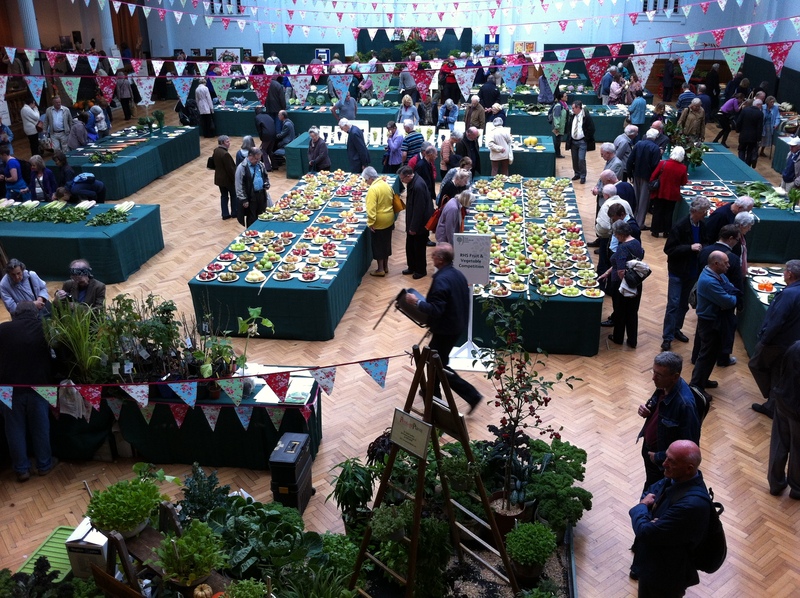 The last RHS event on the calendar is the Shades of Autumn show from October 23rd to 4th – go along, it’s worth the trip into town.